Old Fashioned Naturally Cured Dill Pickles now available by the gallon. 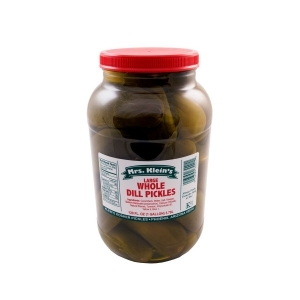 There are roughly 13 Large Dill Pickles in the plastic jar. We ship priority mail so you can expect your pickles asap. This is a shelf stable product but best kept under refrigeration after opening.